ESA Letter Review: The MD's grasp is tenuous at best. 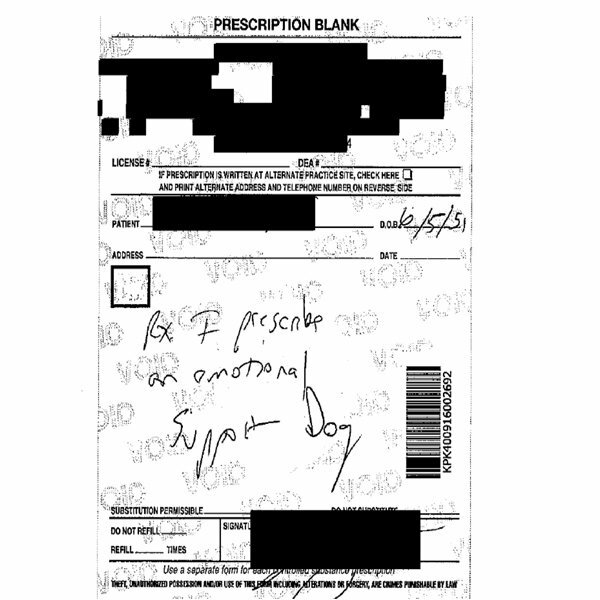 Honestly, we really broke out in laughter when we see the MD actually wrote an RX for an emotional support animal. Who would have ever thought? Ha! When a doctor thinks of actually RX’ing an ESA dog, versus complying with Federal law, time to find help elsewhere. Well, beside wasting a page from their recommendation pad, and while I am sure the MD is competent at MD’ing, their grasp of the ESA letter writing business is sub par. The letter discusses “functional limitations imposed by her disability,” but does not define those limitations. The letter does not verify the client’s disability or disability-related need for a dog. Both are required by HUD guidelines.